There are ordinary Japan cycling tours – and then there is the Hida Satoyama cycling experience. Getting in touch with the rhythm of Hida daily life is as simple as taking one of our most popular guided tours.  As you bike leisurely through this gorgeous farming village, take in the seasonal rhythms of a special way of life handed down over generations. 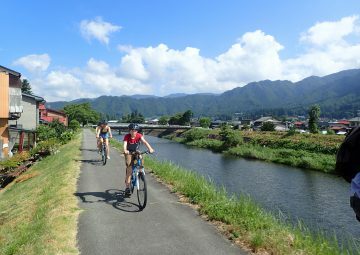 Pedaling a vividly-colored Louis Garnau LGS-FIVE bicycle and accompanied by an experienced guide who understands Satoyama history and culture, your journey through rice fields and charming ancient avenues will help you to discover the unique beauty of Japan. 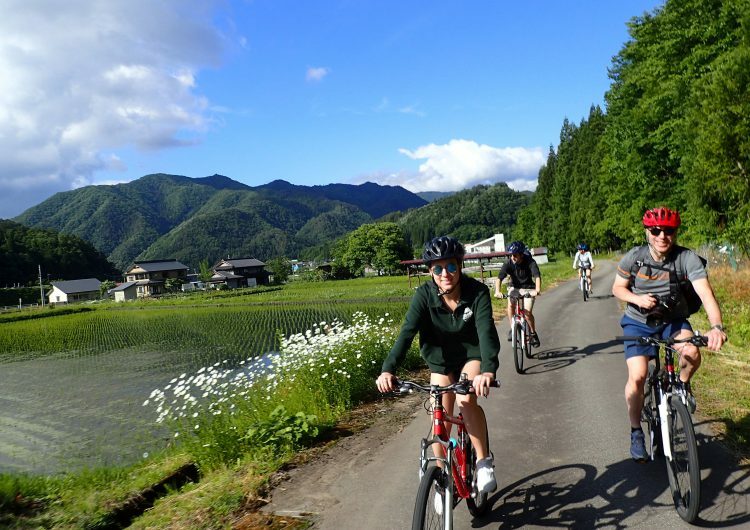 The 3.5-Hour Guided Tour of Satoyama is both our longest-running and most popular Hida Satoyama cycling excursions. 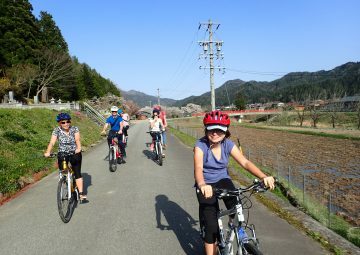 Find out what sets it apart from other Japan cycling tours. This two and a half-hour long bike tour is great for novice cyclists and those with children–experience local culture without the difficulties of a rugged trek.